Mad hair day today in the school meant lots of crazy hairstyles! All for a good cause though as the children donated €1 to the Irish Cancer Society. A total of €666 was raised, thank you. 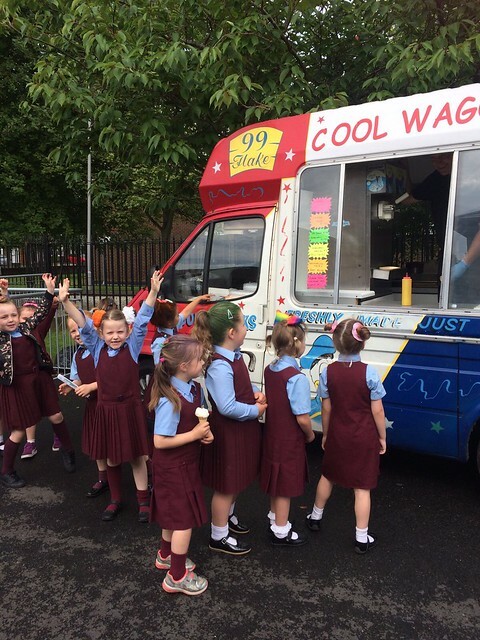 As the fabulous weather continued today, all of the girls were treated to an ice-cream cone. This treat was our way of saying well done for all their hard work in class this year. Of course the teachers and other staff members also enjoyed the well-deserved treat too!